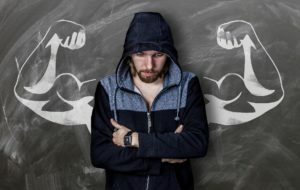 A recent review article published by the Journal of Clinical Endocrinology and Metabolism, highlights the growing health epidemic of anabolic androgenic steroid (AAS) use in young men, and discusses the need for long-term studies of the health effects of AAS, particularly defining the increased risk of AAS cardiovascular disease, infertility, liver toxicity, and mental health issues. Further data is required to inform local health policy and a regulatory response. Anabolic-androgenic steroid (AAS) is linked to body image disorders in young men and particularly in non-athlete men. This entry was posted in News and tagged AAS, anabolic androgenic steroid, body image, health risk, testosterone, young men. Bookmark the permalink.